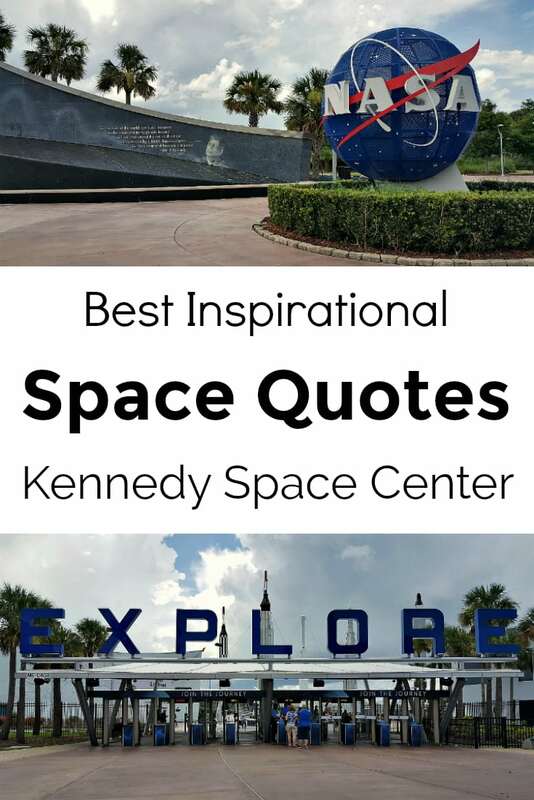 Following are some of my favorite space quotes from my recent visit to the Kennedy Space Center and I hope that they inspire you, as well! 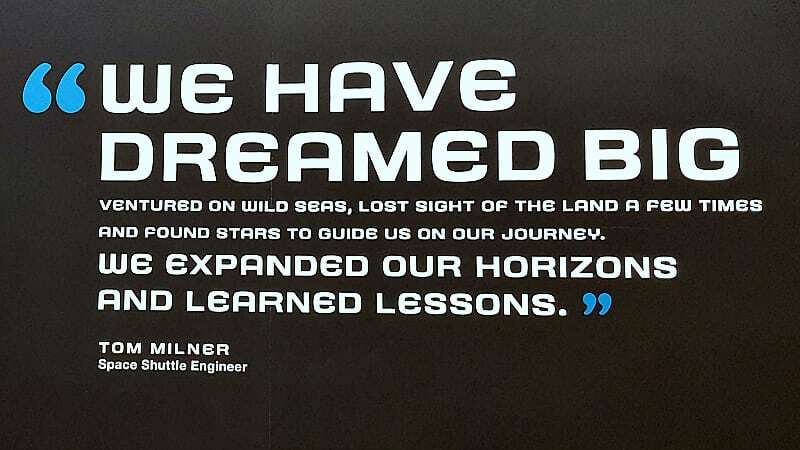 There are quotes from astronauts, scientists and world leaders throughout the Visitor Complex, so there is plenty of inspiration. I found myself awestruck and I paused to read and re-read the quotes. I was in Florida with #NASAsocial and had just watched the SpaceX Falcon 9 CRS-15 Dragon launch earlier that day. The impact of the behind the scenes tours and the launch itself was fresh, so I was ripe for inspiration. 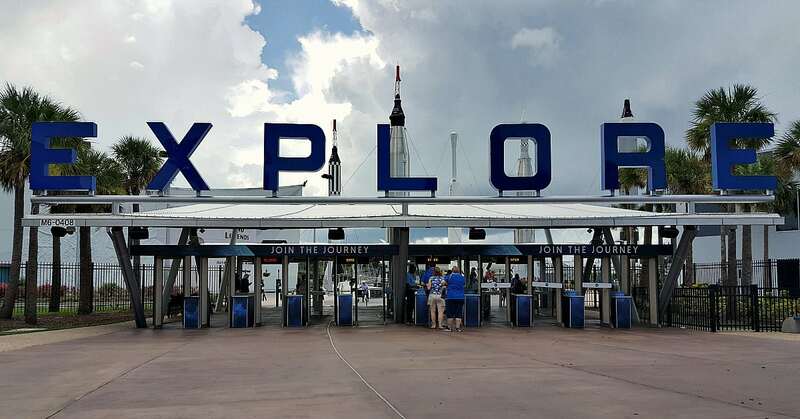 My favorite quote is the one from John F. Kennedy from his famous "moon speech" and I can see why his message of peace is prominently placed at the entrance. but by a banner of freedom and peace. I remember watching the moon landing on my family’s black and white TV, when I was a very little girl. It was exciting, but I was too young to grasp its significance. 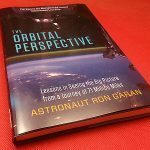 Now, I am in awe of all that the space program has accomplished and am excited to see what the future holds. Also, check out these entertainment articles on Mama Likes This.